Instead of a “frivolous exercise by a past-his-prime, attention-seeking celebrity,” listeners get an album “worthy of serious appraisal," according to Slant Magazine. The AP notes that despite immediate references to bullets, whiskey, and Jesus, only one song on We're All Somebody From Somewhere comes across as "corny bro-country banalities." “I’ve got to tell you that I am more than just a little pleased with the result. Hell, let me say this. I am outright impressed," says Sounds Like Nashville's Chuck Dauphin, who initially wrote the album off as a "marketing ploy." But there's always an exception that proves the rule. 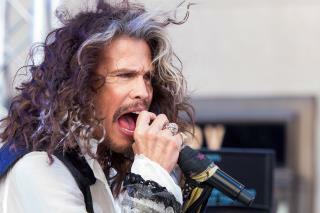 The album is "tolerably listenable," but “whatever country is these days, it is not Steven Tyler," according to the Irish Times. Old rockers never fade away...they go COUNTRY! so the one negative review is from the IRISH times? because they're such experts on American country music? If he made a decent album in any genre, I would be quite surprised.